In reporting on Thelma Golden’s appointment to the board of the Barack Obama Foundation, the IRAAA+ traced connections between Golden, the Obamas and architect David Adjaye which reinforce speculation in the media that Adjaye is moving closer to being selected as architect for the Barack Obama Presidential Center, a $500 million-plus complex to be constructed in a park on Chicago’s South Side. That speculation continued to mount after Foundation officials, on August 26, issued invited a group of architectural firms in the U.S. and overseas to submit their qualifications for the commission. Extending the request to overseas firms is unprecedented. Only architects who are U.S. citizens have designed the 17 existing Presidential Centers (commonly known by their original function as “presidential libraries”). 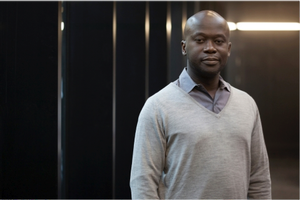 David Adjaye was born in Tanzania to Ghanian parents and is based in London. Extending far beyond spaces to archive and display executive office records, the plans for the Barack Obama Presidential Center reflect the Barack and Michelle Obama’s varied interests including diet and health. 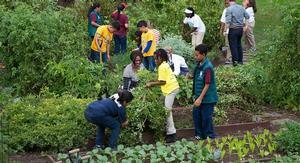 There will be community gardens on the grounds and “healthy dining” in the cafe. There will be a venue for sports as well as for various forms of civic engagement and the arts. The Center’s museum exhibition will not only document major developments in the Obama administration but also the big issues of these times. While the firms contacted directly by the Foundation will have that advantage in the competition, other firms may also submit their qualifications and the request is posted on the Foundation site. From the pool of qualifiers, Barack and Michelle Obama will personally select the firms who will be requested to submit proposals. 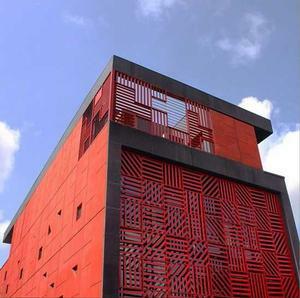 Extending the request to overseas companies however does not necessarily indicate that David Adjaye is a pre-ordained front runner in the competition. It also could reflect the progressive view that strictly bounded concepts of nation are becoming outmoded in an age in which cultural, economical, environmental and many other concerns are globally interconnected. This headline from a news release issued by the Art Institute of Chicago on August 27, 2015 demonstrates how a cultural event becomes a media event based on Adjaye’s celebrity: "ANTICIPATION BUILDS FOR THE EXCITING SEPTEMBER 18 OPENING CELEBRATION OF THE ART INSTITUTE'S MAKING PLACE: THE ARCHITECTURE OF DAVID ADJAYE"
In a timely confluence, as anticipation about the designer of the Obama Presidential Center grows stronger, so does the drum beat heralding this news from another august Chicago institution. 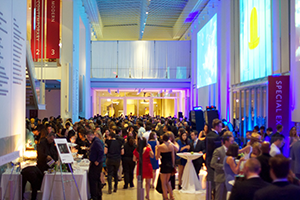 Publicized as a posh social occasion as well as an art occasion, the opening includes an “exclusive” event on Friday, September 18, that benefits the museum’s Leadership Advisory Committee. “VIP” level admission at $1,000 includes reception, preferred seating and exhibition catalogue). General Admission is $350. Valet is parking available. The exhibition was organized by Haus der Kunst, Munich (which is directed by Adjaye’s friend Okwui Enwezor), and the Art Institute of Chicago. 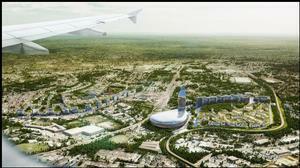 Two David Adjaye developments represent Africa’s most affluent and most needy populations. He designed Alara, a store offering expensive fashion, art and design from around the world. 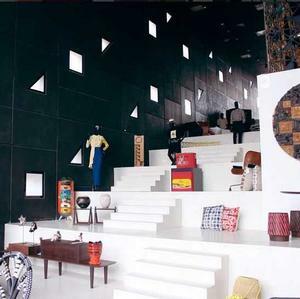 The store opened in spring 2015 in Lagos, Nigeria. Alara was conceived and is directed by Reni Folawiyo, the worldly spouse of a wealthy Nigerian business magnate Tunde Folawiyo and a savvy entrepreneur in her own right. She's interested in promoting African designs among the luxurious mix. In Kampala, Uganda, construction began in February 2015 for 1,000 houses for former residents of the dilapidated communities of Naguru and Nakawa. The first 188 units are expected to be ready by end of the year. 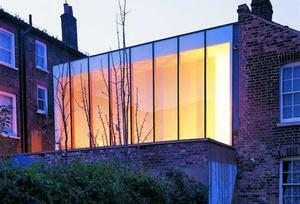 To illustrate the Elektra House, a view of the cheerfully illuminated, high-windowed rear of the house was inadvertently shown, not the controversial facade. The facade is now shown here with our deepest apologies to Sharon Patton who contributed a very perceptive discussion on the architect — one which advances the scholarship on him. 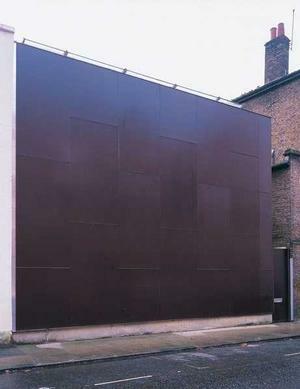 About the Elektra House facade, Patton wrote: "Panels give appearance of single-storey structure. 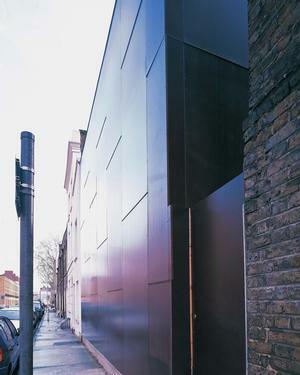 Subtle e mbellishment of facade, in this example, a grid created by panel seams, is a signature for Adjaye's houses. Unlike traditional houses, the entrance in unadorned and off-side to the right." Here's more about the “On Architecture” issue of IRAAA.